Convergence tests for series appear on both sections of the BC Calculus exam. In the multiple-choice section, students may be asked to say if a sequence or series converges or which of several series converge. The Ratio test is used most often to determine the radius of convergence and the other tests to determine the exact interval of convergence by checking the convergence at the end points. Click here for a Convergence test chart students should be familiar with; this list is also on the resource page. On the free-response section there is usually one full question devoted to sequences and series. This question usually involves writing a Taylor or Maclaurin polynomial for a series. Students should be familiar with and able to write several terms and the general term of a series. They may do this by finding the derivatives and constructing the coefficients from them, or they may produce the series by manipulating a known or given series. They may do this by substituting into a series, differentiating it or integrating it. The general form of a Taylor series is ; if a = 0, the series is called a Maclaurin series. Use the various convergence tests to determine if a series converges. The test to be used is rarely given so students need to know when to use each of the common tests. For a summary of the tests click: Convergence test chart. Write the terms of a Taylor or Maclaurin series by calculating the derivatives and constructing the coefficients of each term. Distinguish between the Taylor series for a function and the function. Do NOT say that the Taylor polynomial is equal to the function (this will lose a point); say it is approximately equal. Determine a specific coefficient without writing all the previous coefficients. Write a series by substituting into a known series, by differentiating or integrating a known series, or by some other algebraic manipulation of a series. Know (from memory) the Maclaurin series for sin(x), cos(x), ex and and be able to find other series by substituting into them. Find the radius and interval of convergence. This is usually done by using the Ratio test and checking the endpoints. Be familiar with geometric series, its radius of convergence, and be able to find the number to which it converges, . Re-writing a rational expression as the sum of a geometric series and then writing the series has appeared on the exam. Be familiar with the harmonic and alternating harmonic series. These are often useful series for comparison. Use a few terms of a series to approximate the value of the function at a point in the interval of convergence. Determine the error bound for a convergent series (Alternating Series Error Bound and Lagrange error bound). See my post of February 22, 2013. Use the coefficients (the derivatives) to determine information about the function (e.g. extreme values). Understand absolute and conditional convergence. If the series of the absolute values of the terms of a series converges, then the original series is said to absolutely convergent (or converges absolutely). If the series of absolute values diverges, then the original series may (or may not) converge; if it converges it is said to be conditionally convergent. This list is quite long, but only a few of these items can be asked in any given year. The series question on the free-response section is usually quite straightforward. Topics and convergence test may appear on the multiple-choice section. As I have suggested before, look at and work as many past exam questions to get an idea of what is asked and the difficulty of the questions. Click on Power Series in the “Posts by Topic” list on the right side of the screen to see previous posts on Power Series. 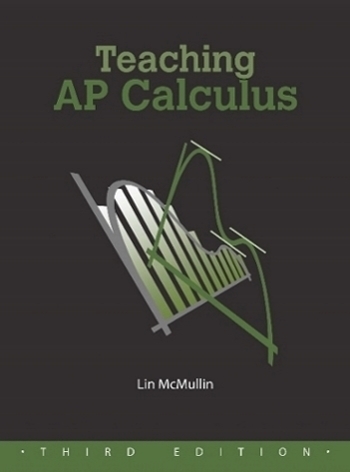 The concludes the series of posts on the type questions in review for the AP Calculus exams. Friday April 7, 2017 The Domain of the solution of a differential equation.